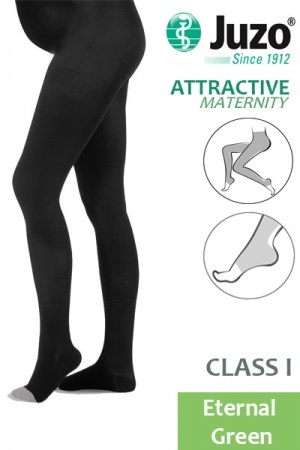 Putting comfort of expectant mothers first, the Juzo Attractive Class 1 Eternal Green Maternity Compression Tights with Open Toe feature a specially woven abdominal section that guarantees a high level of wearing comfort throughout your pregnancy. Thanks to their fine and glistening knitted fabric, combined with trendy colours and the new knitted-in Vision pattern, Juzo's hosiery is a fashionable accompaniment during the event filled months of your pregnancy. 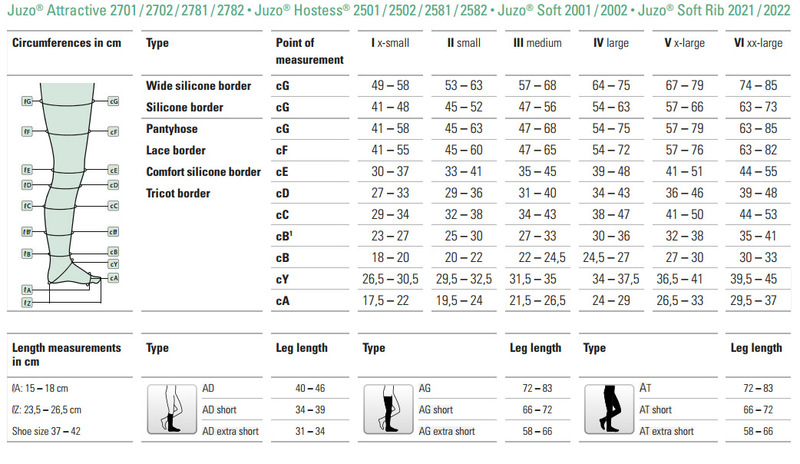 Juzo Attractive Class 1 Eternal Green Maternity Compression Tights with Open Toe are non-returnable and non-refundable on grounds of hygiene.